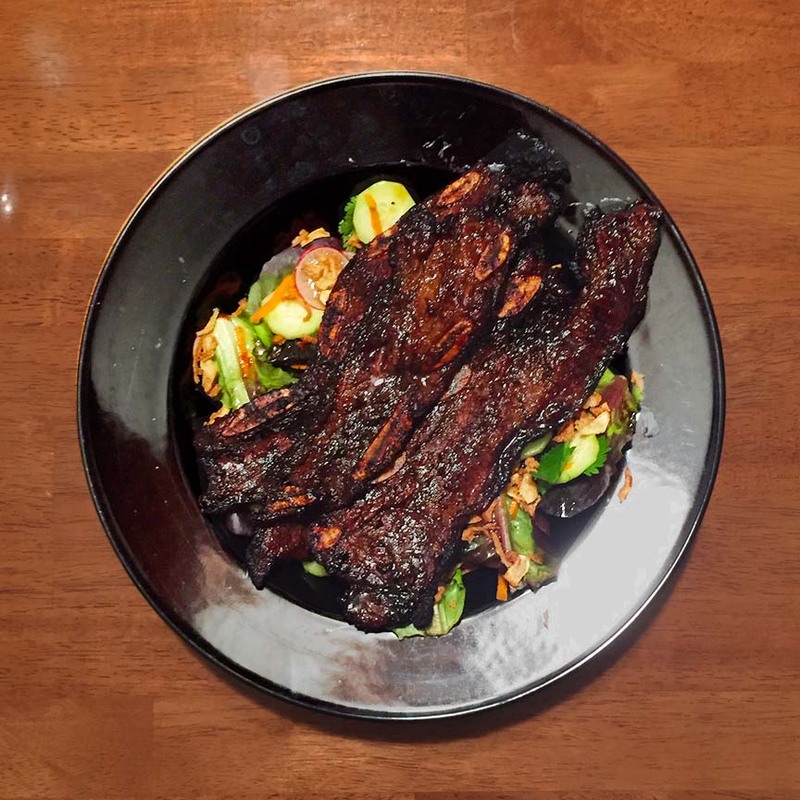 Galbi Short Ribs and Thai Salad | Jouer avec le feu. Another Summer dish that I’m just getting around to in December. You can find the recipes here (although I’ve been using flanken ribs and Johanna Wares dressing instead). To drink, I went with a bottle of Bellwether from Breakside – a gin barrel witbeir with kaffir lime leaves. This entry was posted in Beef by Radiodiffusion. Bookmark the permalink.